Despite stucco being one of the most preferred building materials in Baltimore, locating stucco contractors that are dependable and who can service your home effectively is often a difficult exercise. 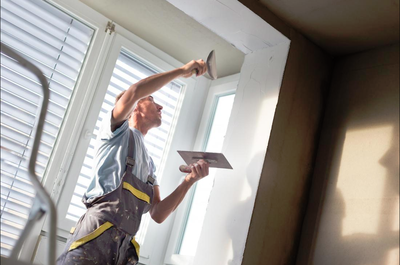 For this reason, some homeowners have opted to DIY techniques in stucco repair and application. This is not advisable because in most instances it leads to a messy project. What you need is an experienced EIFS stucco installation company in Baltimore to help you in your project at competitive rates. Stucco application is a multi-stage process and the contractor must understand each process very well. Unfortunately, there are stucco contractors who are only knowledgeable in some stages and not the others. When you work with us, you can be guaranteed of quality and care at every stage of the stucco application process. Our end goal is to make the overall look of your project the best. Contrary to what some homeowners think, stucco doesn’t get rolled on the wall in the same manner as paint application. It needs to be installed in such a way that it creates a pocket of air between the exterior wall and the building to act as a protected surface. We install several layers of boards, meshes, plasters, and building materials to create a space that is impenetrable to moisture. At the end of the process, you will have a home or office that is comfortable, dry, and safe. The good thing is that you can achieve all this without incurring costs of dense and expensive building installation materials. There is a two-step and three-step method for applying stucco. The one you choose will hugely depend on the parameters of your project. 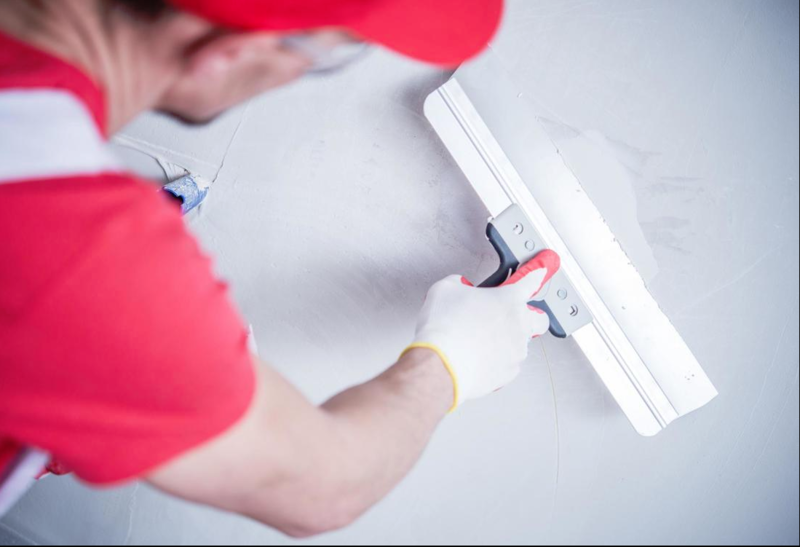 This process involves the application of a scratch coat which creates a relatively rough layer of synthetic stucco. 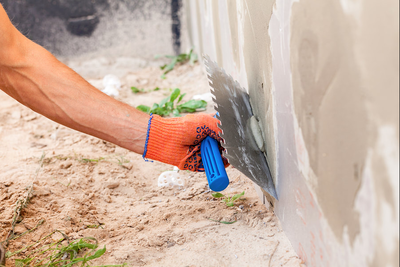 The scratch coat is essentially a base layer consisting of mixed cement, lime, sand, and water with horizontal lines scratched into it. Thereafter, the second coat also known as the brown coat is applied and bonds with the scratch coat. The brown coat is much smoother and the surface texture it creates is more appealing compared to that of the scratch coat. When applying the brown coat, we use a long trowel to ensure an even application. The difference between this process and the two-stage application is that on top of the brown coat, an additional coat is applied purely for color. With this process, customers have the option to choose their preferred colors. Compared to the two-stage process, the three-stage has the advantage of durability and strength. It is twice as thick and this enables it to withstand wear and tear. In terms of timing, the three-stage job may take us anything up to 30 days to complete while the twos-step process can take us a fortnight. Some contractors do not consider the last stage in the three-step process as a unique step but we do. Being a porous material, stucco allows the absorption of water. This is why you need trained professionals to install a water resistive barrier that works as the drainage plane to help weep out the water to the bottom of the stucco. Maintenance and care are also important if your stucco is to last long enough. We have the solution to all this, get in touch with us!